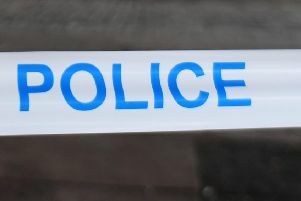 A man was attacked by a gang of up to 15 teenagers in front of his two young grandchildren in Bishopbriggs on Saturday evening. Police are appealing for information after the sickening assault around 8.20pm at Kirkintilloch Road. The 58-year-old victim suffered a head injury after the incident and had to be taken to hospital. His condition at the moment is unknown. The man’s grandchildren are not believed to have been injured. A police spokesperson at Kirkintilloch said the attack was particularly nasty because of the number of assailants involved. The young thugs have been described as between 14-16 years old. Anyone who has an information at all on the incident should contact Kirkintilloch CID on 101.